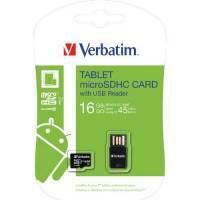 Verbatim Secure Digital High Capacity Memory Card SDHC 16GB Class 10 43962 Pack of 1 "Verbatim SDHC memory card class 10. Designed to be used in compatible digital cameras, portable music players, camcorders, smartphones and PCs. Uses a FAT32 file system making it ideal for high quality video. Read/write speed 10 MB/sec. 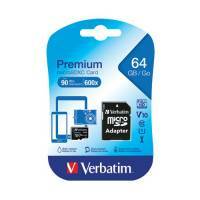 Capacity: 16GB." 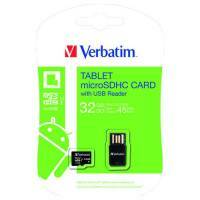 Verbatim Secure Digital High Capacity Memory Card SDHC 32GB Class 10 43936 Pack of 1 "Verbatim SDHC memory card class 10. 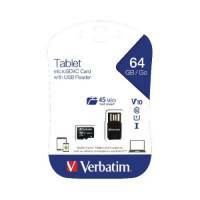 Designed to be used in compatible digital cameras, portable music players, camcorders, smartphones and PCs. Uses a FAT32 file system making it ideal for high quality video. Read/write speed 10 MB/sec. 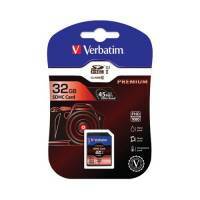 Capacity: 32GB." 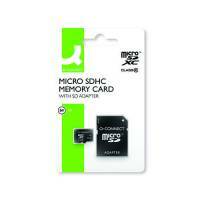 Q-Connect 8GB Micro SD Card Class 10 KF16011 Pack of 1 "Q-Connect 8GB MicroSD Card. Hardwearing, reliable, easy to use portable storage. With full-size SD adaptor. 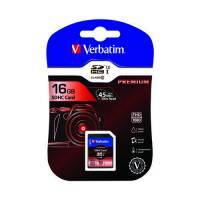 Class 10 (10 MB/s).."
Q-Connect 16GB Micro SD Card Class 10 KF16012 Pack of 1 "Q-Connect 16GB MicroSD Card. Hardwearing, reliable, easy to use portable storage. With full-size SD adaptor. Class 10 (10 MB/s)." Q-Connect 32GB Micro SD Card Class 10 KF16013 Pack of 1 "Q-Connect 32GB MicroSD Card. Hardwearing, reliable, easy to use portable storage. With full-size SD adaptor. Class 10 (10 MB/s)." Q-Connect 64GB Micro SD Card Class 10 KF16128 Pack of 1 "Q-Connect 64GB MicroSD Card. Hardwearing, reliable, easy to use portable storage. With full-size SD adaptor. Class 10 (10 MB/s)."